Welcome to Bangkok! The start of your holiday. Upon arrival you are met & are transferred to Pattaya. An approximate 2 hrs drive. Pattaya has a lot to offer its visitors in terms of activities & sightseeing. hotel check in transfer to visit Pattaya hill & big buddha. Overnight in Pattaya. The day begins a little early this morning as you are taken on a full day excursion to the Coral Island. On the Island you can indulge in water sports & also try your hand at Paragliding!! Truly an exhilarating experience!! The tour terminates early evening back at your Hotel. Spend the evening strolling down the avenues of Pattaya skirting the beach or try your hand at bargaining for wares at the shops dotting the Beach. Overnight in Pattaya. 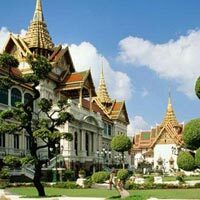 Wake up to breakfast this morning following which you are taken on a city & temple tour of Bangkok. 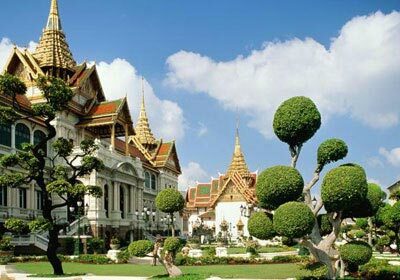 Later in the afternoon you could spend time shopping at the numerous Malls that dot Bangkok City.